* CSU students work with local business to solve problems * Students apply their skills to gain valuable on-the-job experience * CSU and Port Macquarie Hastings Council work together to help businesses growStudents at Charles Sturt University (CSU) in Port Macquarie have been working with local businesses to solve problems and grow.The CSU Talent Hack-athon program was introduced in November 2018 to connect students and local businesses over the University summer break.CSU student liaison officer Ms Clara Koch said the program was operated in coordination with the Port Macquarie Hastings Council (PMHC) who were able to reach out to local businesses.“Twenty-two businesses responded to the Port Macquarie Hastings Council advertisement, with four selected to take on a student to help solve their problems.“The students selected worked with the businesses over the summer to create everything from flyers to marketing plans,” Ms Koch said.The Kendall Tennis Club was one organisation to take advantage of the program. Ms Wendy Hudson from the club said it was reliant on the support of volunteers who already give over 80 hours weekly to run it.“The committee has very little time to spend on designing flyers, marketing and social media, and welcomes the creative knowledge and expertise brought by the international students to the club.“They have been fantastic, already creating flyers for programs and assisting with website advice,” Ms Hudson said.A further nine businesses with in-depth projects were contacted by CSU lecturer Dr Sabih Rehman from the School of Computing and Mathematics as potential student final-year projects.The remaining businesses were contacted by the PMHC with the recommendation they hire a student as an intern to complete their nominated project.International students at CSU in Port Macquarie were particularly interested as it gave them an opportunity to better connect with the local community and expanded their experience over the typically quiet summer break.Ms Koch said it was the first year the program was run but they were happy with the enthusiasm of businesses and hope to run it again in 2019. * CSU Creative Industries program leads to diverse career opportunities * Student applying CSU learning to jobCharles Sturt University (CSU) graduate Layne Bayly expected her career would start in corporate graphic design team but the reality was very different.In her final year of study, Ms Bayly was encouraged by a friend who worked at a tattoo studio to consider applying for an apprenticeship that was on offer. Ms Bayly walked into a Port Macquarie tattoo studio, portfolio in hand, to talk with the manager about starting an apprenticeship.“The [tattooing] industry is a whole new ball game that has a lot of graphic design principles that you don’t expect,” Ms Bayly said.Ms Bayly, who graduates in 2018 with a Bachelor of Creative Industries (Design and Visual Arts) degree from CSU in Port Macquarie, said aside from updating the studio’s website and managing social media she was also able to use design and technology.“I take a design, work it up using an iPad and Photoshop to mock up the way it will wrap around the client and adjust the illustration. The photo is printed out, the artist traces it onto carbon paper adjusting as onto the skin when needed,” Ms Bayly said.Ms Bayly said her job took in many aspects of design strategy and planning that had been taught as part of her degree.“I’ve done lots of drawing to get ready for tattooing. You can’t get away with any errors and you need to be able to draw perfect circles and other shapes because there is no rubber or undo,” Ms Bayly said.Ms Bayly said this is stressful but there are others who have been working for 10 to 20 years who still get stressed by certain designs.Ms Bayly said she has been sharing her knowledge about the similarities between graphic design and tattooing with her graphic design lecturer, Willhemina Wahlin.“I was able to submit my sketches and work as assessments and I think that showed Willhemina the similarities to what was being taught and my work,” Ms Bayly said.Lecturer in graphic design in the CSU School of Communication and Creative Industries Ms Willhemina Wahlin said the University supported how students applied their learning to their careers.“I think it’s important for students to be able to balance work and study as well as complement their skills on the job with what they learn in class.It’s also great to see the students bringing that workplace knowledge back to class. We really encourage this because the creative industries are so diverse. It keeps it exciting and interesting.”Photo credit: Top Ms Layne Bayly, middle and bottom tattoo art by Ms Bayly. * CSU student Sam Ross will graduate with a Bachelor of Paramedicine * Has been offered a role with NSW Ambulance * Volunteering and leadership roles helped him secure his first jobA chance encounter at a bus stop led Charles Sturt University (CSU) student to take on a career in paramedics and complete a Bachelor of Paramedicine.While sitting at a bus stop, the then 15 year-old student Sam Ross noticed a man was behaving strangely and looked to be in need of help. Mr Ross wasted no time and ran to the local medical centre.As he drew toward finishing high school Mr Ross began looking at universities and programs that were available to him before settling on CSU.“My careers advisor suggested Charles Sturt University because it had a strong reputation for teaching and graduate job prospects,” Mr Ross said.“They also told me the University was building a campus in Port Macquarie so I pretty much moved up there straight out of high school.”Mr Ross said he was impressed with CSU’s facilities in Port Macquarie and also the small size of the campus meant he “didn’t feel like a number”.“Lecturers knew students by their names and would also put on extra classes and sessions to help us.“We felt like they put in the extra effort to help us succeed, especially for subjects there were harder and more technical,” Mr Ross said.At the suggestion of a first-year lecturer, Mr Ross got involved in CSU Student Paramedics Australasia (SPA) a group that provides first aid services to community events and hosts guest speakers to share knowledge.Eventually Mr Ross became President of the SPA, a position he said allowed him to further gain experience that would help with his job prospects following graduation.“It was also a useful way to revise what I’d learnt and to pass knowledge to first- and second-year students,” Mr Ross said.Leaving SPA, Mr Ross said the group had raised $5,000 that would be donated to local charities to support the Port Macquarie community.In early January 2019 Mr Ross will take-up a role with the NSW Ambulance Service; this was his first professional job application.Mr Ross graduated on Monday 17 December 2018 at a CSU graduation ceremony at The Glasshouse in Port Macquarie. * CSU at Port Macquarie celebrates 131 graduating students on Monday 17 December * Family and friends invited to celebrate CSU graduands at graduation ceremoniesCharles Sturt University (CSU) in Port Macquarie congratulates the 131 students who will graduate at ceremonies held at the Glasshouse on Monday 17 December.CSU Deputy Vice-Chancellor (Research, Development and Industry) Professor Heather Cavanagh will preside over the two ceremonies.Professor Cavanagh said graduation is one of the highlights of the academic year and that she looked forward to welcoming graduates, their families, friends, and the community to celebrate this special event. "I congratulate our graduating professionals on the successful completion of their studies with us,” Professor Cavanagh said.Professor Cavanagh said the University in Port Macquarie was growing and it was exciting to welcome more graduates from the region.“It’s rewarding to be involved in the education of the next generation who will stay on in the region and enrich their local community,” Professor Cavanagh said.CSU Bachelor of Criminal Justice graduate Ms Grace Stevens said graduation was the satisfying culmination of years spent studying, at a University with a personal touch.“With the smaller classes we got to have a closer relationship with our lecturers, so we were more comfortable asking questions and sitting down with them for one-on-one sessions,” Ms Stevens said.Guest Mr Neville Parsons will give the Occasional Address to the Faculty of Arts and Education ceremony. Mr Parsons is CEO and Director of the Holiday Coast Credit Union and is a Board Member and Deputy Chairman of the Mid North Coast Local Health District, as well as a Board member of NSW Life Education.Guest Mr Alan Morrison will give his Occasional Address to the Faculty of Science, and Faculty of Business, Justice and Behavioural Sciences ceremony. Mr Morrison is currently the Director Education for NSW Ambulance and Director of the Paramedic Education Program Accreditation Scheme for the Council of Ambulance Authorities.Local Aboriginal Elder Uncle Bill O’Brien (OAM) will conduct a Welcome to Country at both graduation ceremonies.Ceremonies location and timingThe graduation ceremonies will commence:* Faculty of Arts and Education - 9.30am* Faculty of Science and Faculty of Business, Justice and Behavioural Sciences – 2pmThe Glasshouse is located at 30-42 Clarence Street, Port Macquarie. * Students who complete the program achieve an average 75 percent progression rate. * Majority of students completing the program offered CSU course placement. * Program supporting more Indigenous students to access higher education. 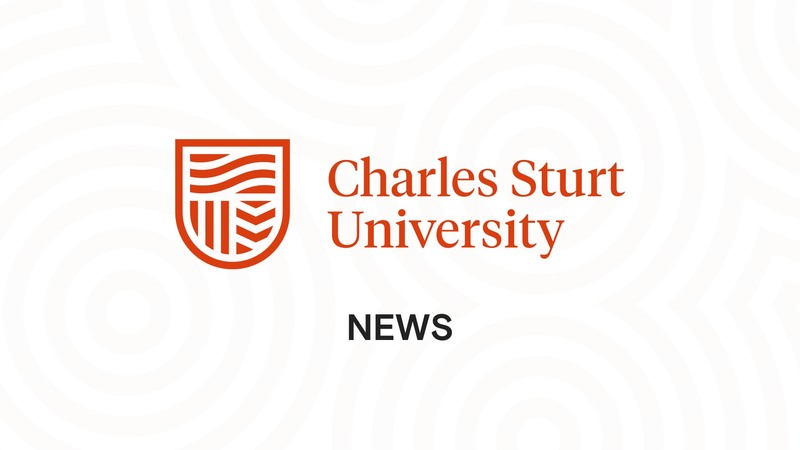 The Charles Sturt University (CSU) Indigenous Access Program is assisting more Aboriginal and Torres Strait Islanders into tertiary education.The five-day program that will be held at CSU in Port Macquarie from 3 to 7 December includes a range of activities aimed at building confidence and providing students with practical steps they can take to get into their chosen course.CSU Indigenous Programs Officer Leslie Lyons said the Indigenous Access Program provided a successful transition to university.“Students who complete the Indigenous Access Program achieve a 75 percent progress rate compared to 68 percent for those who don’t,” Ms Lyons said.Ms Lyons added the majority of students who complete the program were more confident they would succeed at university.In describing the program, Ms Lyons said the students are given assessments against their preferred course to understand their strengths and what needed to be improved.“Students are either offered a placement or are given an alternative pathway into their chosen program,” Ms Lyons said.CSU Manager of Indigenous Student Centres Blake Dunn said the program provided Aboriginal and Torres Strait Islander students the support and access to the University’s Indigenous study resources to help them succeed.“The Indigenous Access Program provides an entry pathway for our students into university studies. It demonstrates the support that is accessible throughout their university life and connects them with the full range of services we offer Indigenous students,” said Mr Dunn.The Indigenous Access Program is open to all Aboriginal and Torres Strait Islander school-leavers or mature-aged wanting to gain access to CSU.CSU is currently taking further bookings for our February program being held from the 4th to the 8th of February 2019. Applications can be completed online via the Indigenous Access Program website.